At YMCA Lakeside we served over 7175 children, young people and adults in 2017/18. Many from deprived urban towns and inner city areas of the UK, providing them with life-changing experiential outdoor learning activities. from accross the country brought children and young people to YMCA Lakeside. attended YMCA Lakeside on a residential experience with some coming from urban and deprived areas. YMCA Lakeside uses experiential learning to teach young people skills they may not necessarily learn inside of schools. 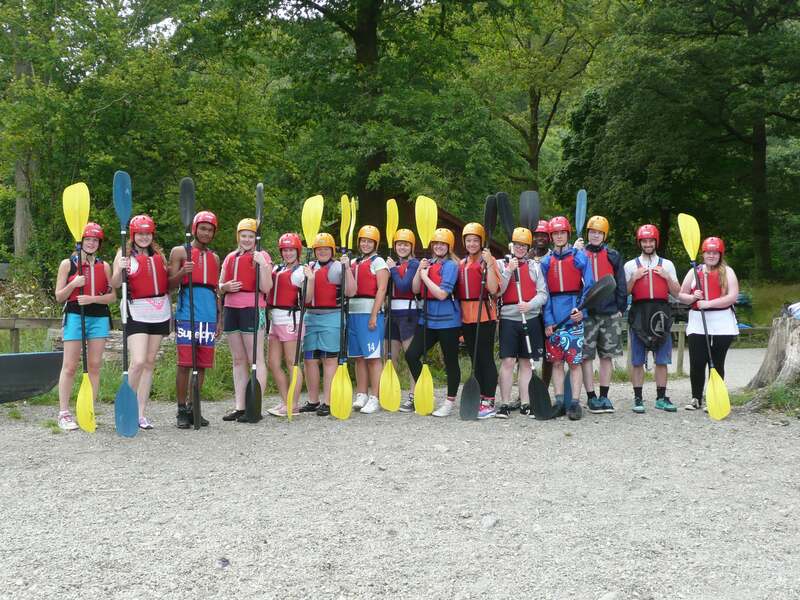 Outdoor Education at YMCA Lakeside is an immersive and holistic approach to learning, with young people taking on new responsibilities, taking risks in a controlled environment and reflecting on all that they have learnt during their time at YMCA Lakeside. In the months leading up to the residential L was very adamant that he didn’t want to go. It was only a week before you managed to encourage him to actually go, but in his words “he was going but wasn’t going to do all the activities he would just watch the others”. He did feel very anxious about going but the school had put him at ease and told him he wouldn’t have to do anything he didn’t want to. Luke went on the residential and if I’m being honest I was expecting a phone call to go and get him. That never happened and on the day they were coming home we went along to pick him up. As he got off the bus his face was glowing with pride, the first words out of his mouth were “I could have stayed longer it was so much fun”. L went on to say how much enjoyment he had gotten from all the activities and he couldn’t believe he had actually done every single activity. He was so proud of himself. There wasn’t anything he didn’t have a go at. This changed his attitude and mind set to the challenges he meets in everyday life and since then has never looked back. He has tried and done lots of things he wouldn’t of before and that’s all because going to Lakeside gave him the self-esteem and confidence he needed and as a family we couldn’t be more grateful to the school for the encouragement they gave L.
YMCA Lakeside is in the unique position to help young people develop the life-long skills and character traits that will allow them to reach greater academic success and, ultimately, to carve out strong career and work roles. The skills young people develop at YMCA Lakeside are the same qualities that employers are crying out for; good communication, effective teamwork, proven leadership, problem solving, resilience and a positive ‘can do’ attitude to new challenges. For young people knowing that they have the resources, capabilities and skills they need to function in the world is the spring board to setting and reaching their goals and aspirations. Confidence and self-esteem empowers young people to face whatever challenges they encounter. YMCA Lakeside teaches young people that they can succeed in some of the most challenging situations.Through real experiences we encourage them to work hard, demonstrate commitment and to aim high and set goals. A visit to Lakeside can trigger lasting changes in young people that can take them in new directions. Many young people from deprived backgrounds arrive at YMCA Lakeside with a poor outlook on their future, lacking confidence, having low self esteem and poor social skills.